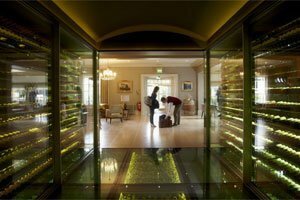 The Vineyard is a 5-star hotel, spa and restaurant based near Newbury, Berkshire, which has received a plethora of accolades and awards. The staff at The Vineyard are specialists in wine, with over 30,000 wines in their cellar, 3,000 bins, and 100 different wines for you to taste and enjoy by the glass. Our friendly Operations Team will arrange everything for you, call them on 01256 635000 or use the form below for an instant estimate. 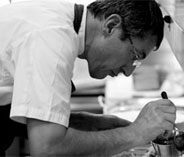 The Vineyard’s restaurant is home to award-winning chef Daniel Galmiche, who you may recognise from his regular appearances on the BBC’s Saturday Kitchen. Here, you can expect exceptional dishes with perfectly matched wines. The restaurant was recently announced Restaurant of the Year 2012 by Decanter and Laurent Perrier, so you’re in for a treat if you choose to dine here. Privately owned by the Michael family (who also own the highly respected Peter Michael Winery in California) since 1996, The Vineyard is ideal whether you’re after a decadent five course dinner or a simple, low key supper. 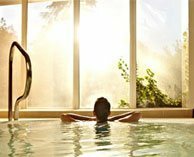 The Vineyard’s spa and pool has been awarded ‘5 Bubbles’ by the Good Spa Guide, and offers a range of beauty and stress-relief therapies and treatments, which can be personalised and tailored to suit your needs. You can also choose to stay overnight in one of the 32 suites and 17 bedrooms, each named after famous wines from around the world. Our helicopters land a short walk from The Vineyard – we can arrange for a car to transport you from the landing site to the hotel in case of poor weather. Prices for helicopter travel to The Vineyard will vary depending on your pickup location and number of passengers.